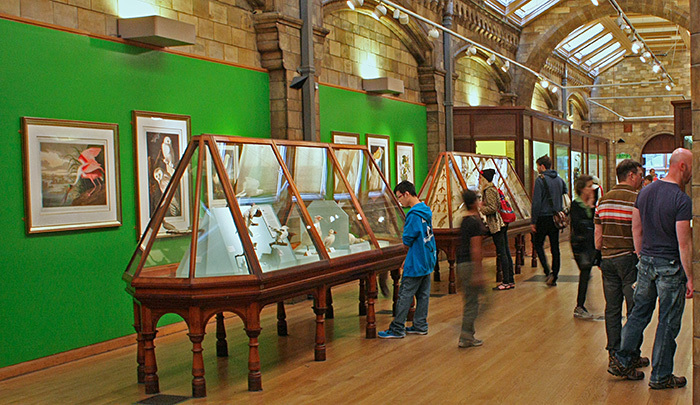 Prestige lectures of the Quekett Microscopical Club take place in the Neil Chalmers Seminar Room in the Natural History Museum. 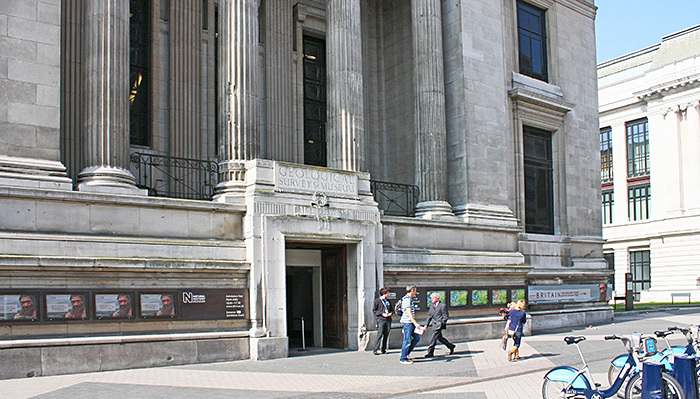 There is step-free access to the Natural History Museum from the entrance on Exhibition Road (formerly the entrance to the Geological Museum), and at busy times the queue can be shorter than at the main entrance on Cromwell Road. 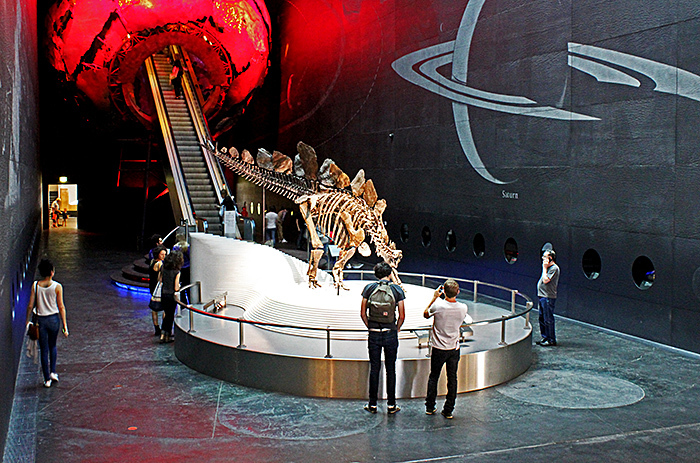 After the detour for security checks, go straight ahead into the Museum. Go through the area with black walls; you can walk to the left or right of the escalator. Go straight through the next area, Lasting Impressions, which has a door to the library on the right and a door to the British Geological Survey on the left. 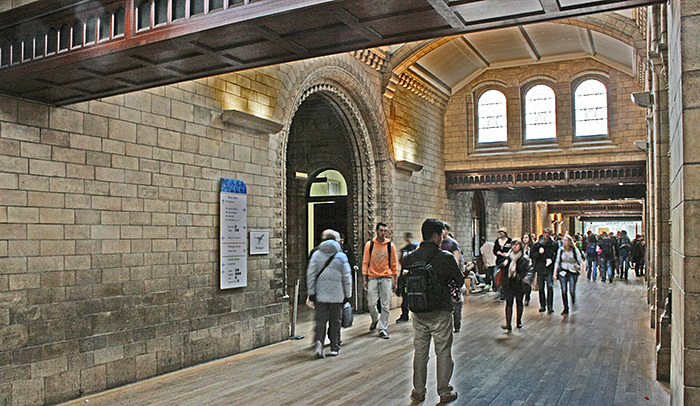 After Lasting Impressions, go left between the bird exhibits and go through the door at the end of the gallery; this leads into the fossil Ichthyosaurs corridor. 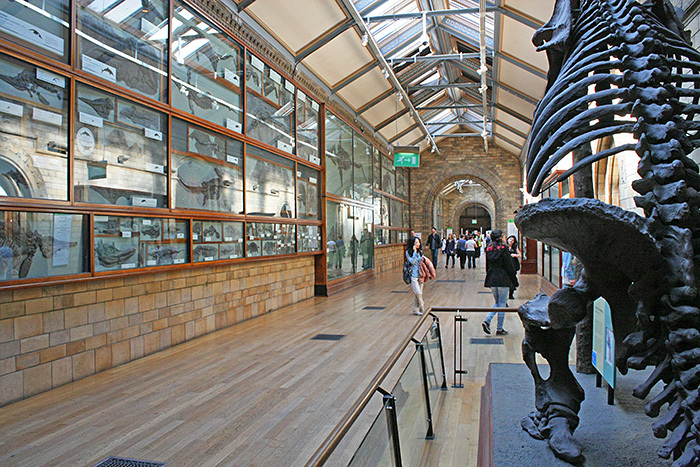 If you look left after the Bird Gallery, you will see the giant ground sloth, with the door to the Palaeontology Department just beyond the sloth. 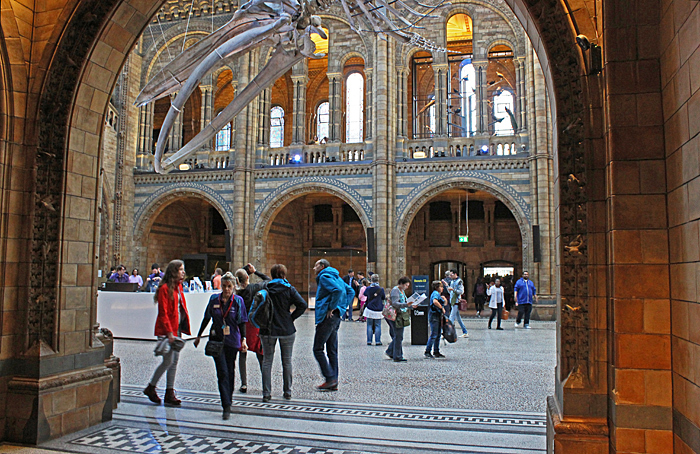 Turn right when you leave the Bird Gallery and walk along the fossil Ichthyosaurs corridor to the Central Hall. 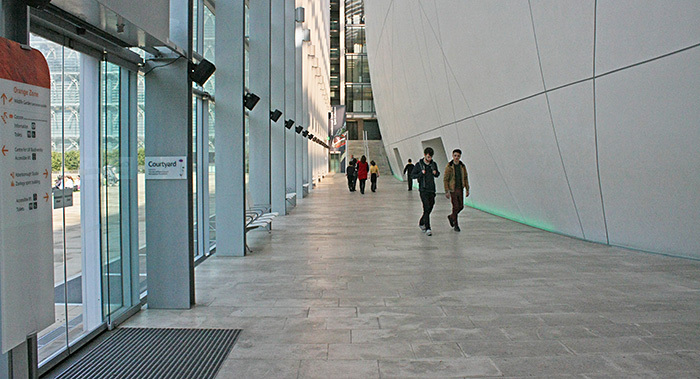 Go straight across the Central Hall, under the whale skeleton, and along the corridor that is directly opposite, leading to the Darwin Centre. 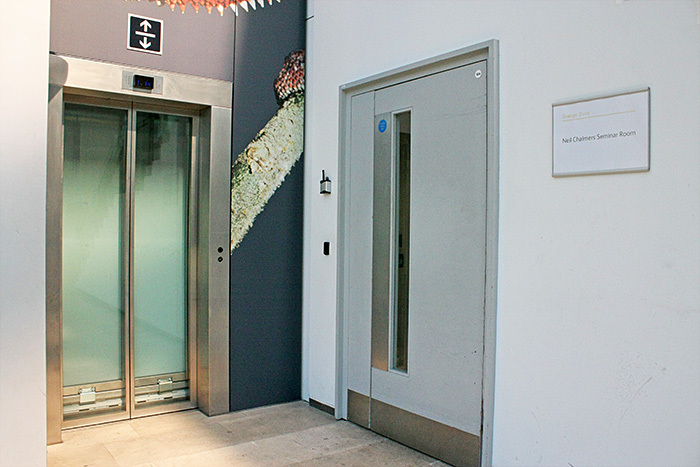 At the end of the corridor to the Darwin Centre, go down the stairs, turn right and walk past the outside of the Cocoon, with the courtyard on your left. There is a lift to the left of the stairs. You will see a staircase in front of you, at the far end of the Cocoon. Go to the left of the staircase, and the entrance to the Neil Chalmers Seminar Room is on your right. The entrance to the Neil Chalmers Seminar Room is under the staircase, just beside the lift. 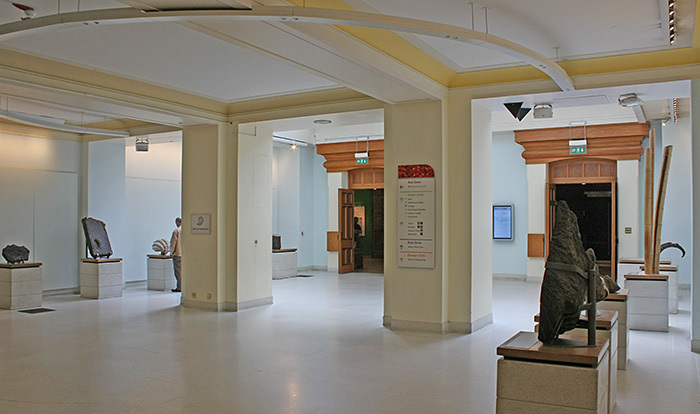 If you use the main entrance on Cromwell Road, go half way along the Central Hall and turn left into the corridor that leads to the Darwin Centre.